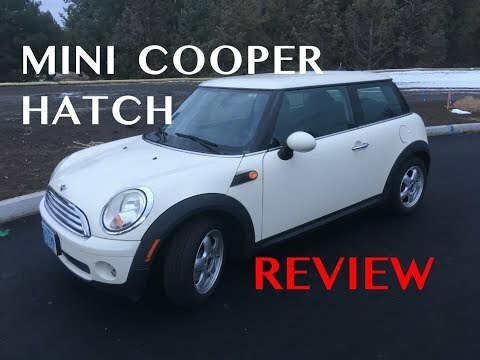 If you want high style and high performance in a small package, the 2008 MINI Cooper is for you. It combines excellent handling and charming looks with a remarkable level of options available from the factory. Drivers who crave uniqueness will love the ability to tailor their MINIs to match their tastes. Perfect for a small family. It may not be a huge car but there's plenty of space, at least for 2 adults. The back seat is no good for adult passengers, but ok for small children. Very little trunk space but the back seats fold down. I have my daughters car seat in the back and leave the other seat down for storage space. Perfect for a small family, or single person. Biggest drawback is cost of maintenance. "Closed oil system" means you have to go to a specialist for simple things like an oil change. Reliable car, but has trouble starting sometimes. I love how small the car is for city living, maneuvering, and parking. The car performs pretty well, but it has an issue with the starter I have heard others with my make and model struggle with. Sometimes I have to move the wheel back and forth while pushing in the clutch to get the car to start. Other than that, it is a good car! I just wish it was a little roomier and had more trunk space. Cheap yet expensive: mini cooper. Whenever there is a repair that needs to be completed for my car it is usually very expensive. Despite it being a small car and relatively inexpensive to purchase, it is very expensive to fix because it has a BMW engine. It is extremely reliable and it very fun to drive. I feel absolutely safe driving it and because it is so small I can fit in virtually any parking spot. DEALERS WILL REPLACE THE TAILPIPE WITH A NEW SHORTER ONE FREE OF CHARGE. THE RECALL IS EXPECTED TO BEGIN DURING JANUARY 2009. OWNERS MAY CONTACT BMW AT 1-800-831-1117.